High in nutrients, low in calories. Certified organic by EcoCert International, French. 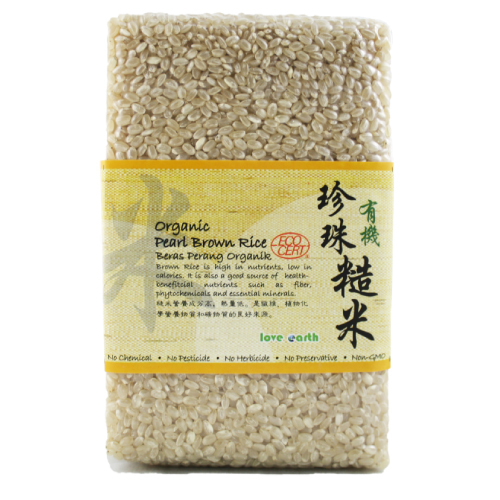 Brown rice is a good source of health benefitting nutrients such as fiber, phytochemicals and essential minerals, we thus recommend substitution of white rice with Love Earth Organic Brown Rice soonest possible for a healthier alternative. Brown rice is also known to have?a lower glycemic index than white rice, which means it doesn’t cause blood glucose levels to rise as rapidly.